After travelling six months and millions of kilometres, NASA’s Mars InSight is approaching its final destination. After travelling six months and millions of kilometres, NASA's Mars InSight lander is approaching its final destination. The one-metre tall, 358-kilogram spacecraft is set to land on the Red Planet on Monday at 3 p.m. ET. It's sure to be a nail-biting experience for the hundreds of people who have worked on the mission. It's easy to imagine the unease the engineers will be facing during the six-and-a-half minute descent to the Martian surface: of all the missions to the Red Planet, only 40 per cent have been successful. 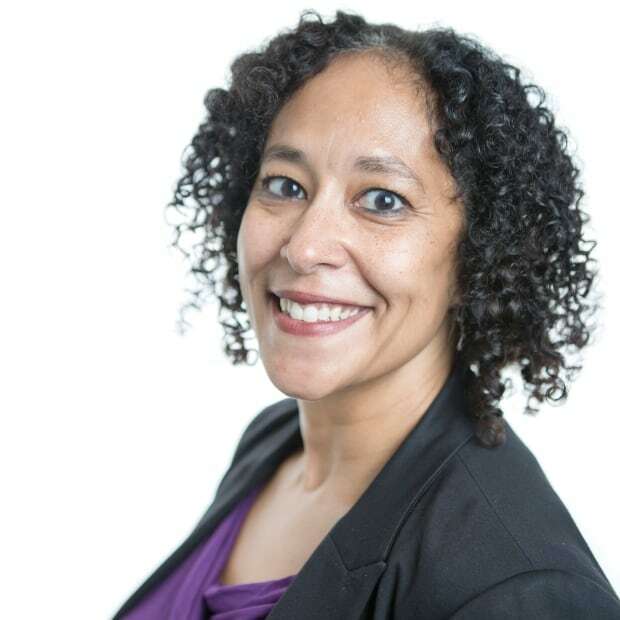 "We all get butterflies when we think about the spacecraft actually landing," said Catherine Johnson, a professor at the University of British Columbia, who is a co-investigator of the international team that will measure seismic activity on Mars using InSight. But the success rate has been improving. NASA's twin rovers, Spirit and Opportunity, which launched in 2004, long outlasted their original mission of 90 Martian days, or sols. Spirit lasted 11 years. Opportunity is silent after a months-long dust storm, but not technically dead. Then there's Curiosity, which launched in 2011. It's still going strong. When it reaches Mars, InSight will have travelled almost 500 million kilometres, because it wasn't a direct trip. Inside a protective casing, it will enter the thin Martian atmosphere at roughly 19,800 km/h. It will deploy a parachute and fire descent thrusters, allowing it to — hopefully — gently touch down on its legs. ​The spacecraft will land in the Elysium Planitia region, near the planet's equator, only 550 kilometres from Curiosity. While spacecraft have landed safely recently, this particular location is a bit of a challenge: it is at a higher elevation, which means the spacecraft can't use as much of Mars's thin atmosphere to slow down. So why pick that spot? "Mostly because it's really, really boring and really safe," Johnson said. A flat, rock-free area is best suited to this geological mission where the instruments can be deployed easily. If it were a rocky location, the seismometer and drill, also known as The Mole, wouldn't be able to do their jobs. 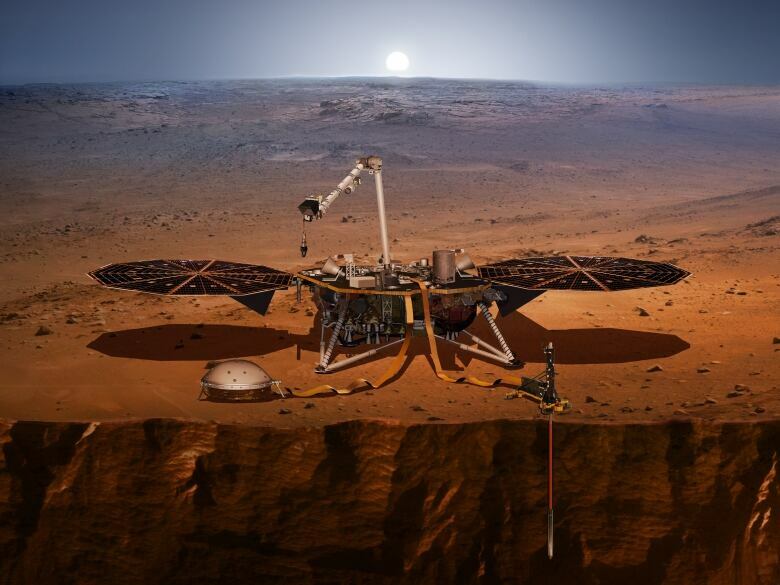 InSight is the first geological mission to the Red Planet. Over two years, using varying instruments, it will measure seismic activity, or Marsquakes, as well as the planet's negligible magnetic field. It will also take Mars's interior temperature. "For those of us who really study the interior of planets, this is a really, really important mission," Johnson said. "We've wanted to go to Mars for several decades now, so it's really exciting to be almost there." The mission's goals will help scientists understand Mars and planetary formation, and that helps pave the way to knowing what may lay ahead for human missions. 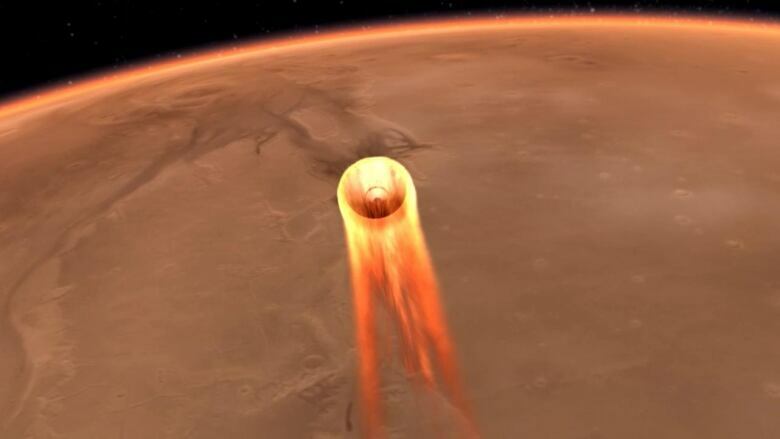 During the landing, Insight will send signals to NASA's orbiting Mars Reconnaissance Orbiter (MRO) and transmit the data when Earth is in a position to receive the signals. 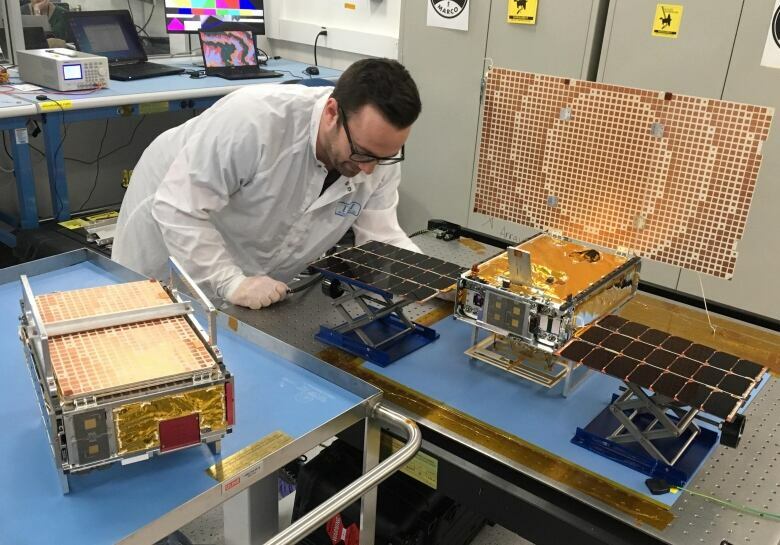 There's also the possibility that two CubeSats, small breadbox-sized orbiters, the first of their kind to make an interplanetary voyage, will be listening in. Mars Cube One — actually two satellites — may be in a position to receive a signal and relay that to Earth immediately. Back on Earth, two radio telescopes will be listening in to the beacon that will tell operators that InSight has safely reached the surface. "We'll just be very glad when we get the otherwise boring little beep that says, 'Yes, we're here,'" Johnson said. Watch NASA's feed of the landing on CBC News beginning at 2 p.m. ET. Monday.